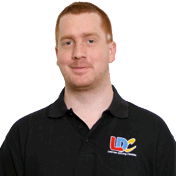 I passed my driving test with Lewis and he was great – very patient and very clear on his explanations. He also got me doing my homework with the LD System workbook and, to my surprise, it was so beneficial for my actual practical driving. 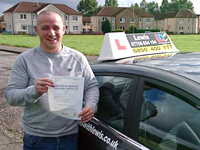 It gave me a greater understanding of what was required not just for my driving but of me as a driver, and it meant more driving time and less questions for Lewis during lessons. Thank you so much for being patient.